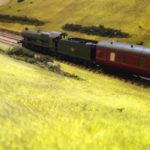 Beginner’s Q&A: How much does it cost to start a model railway? If you want to buy a model railway for yourself, your son or daughter or perhaps a friend you may be trying to work out how much it costs. If so, this is just for you. 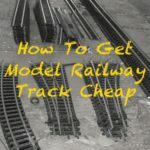 If you know nothing about model railways but want to buy a train set for a relative, friend or maybe yourself it can be difficult to work out what you need and hence how much it’ll cost to get started. There used to be lots of local model railway shops in the UK each with friendly knowledgeable staff who could help but sadly these are now few and far between. Instead, we now have online shops but these can be confusing places with all the manufacturers, accessories, jargon and terminology choices available making it difficult to know what to buy. 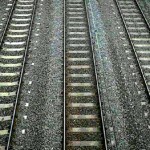 It’s actually very simple and, more importantly not too expensive, to start a railway. 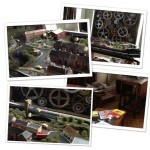 An initial kit that will get you or your friend/relative everything needed to happily start playing with and exploring the fascinating world of model railways is quite cheap. 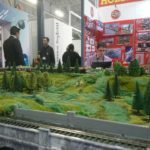 An initial kit that will get you or your friend/relative everything needed to happily start playing with and exploring the fascinating world of model railways is quite cheap. The big name in UK model railways is Hornby. And, helpfully, they sell a range of starter packs that include everything that necessary, including a locomotive (the train with the engine), the wagons/carriages that it pulls, track for it to run on and the electrical wires and controllers needed to make it work. > If you’re thinking of buying one of these sets read The Best Model Railway Sets where the top beginner’s packs are rated. In answer, the original question, how much do basic model railways cost, the price of the cheapest of these beginners collections is just under £50, approx. £45 at the time of writing. This is for the charming Caledonian Belle steam train (pictured right and below) with enough track for an oval and clear, easy instructions to help assemble it all – not that there’s a lot involved anyway. MRE Tip: Avoid the high street chains. They often sell what look like bargains but in reality are usually more expensive than you can get online. I was recently really tempted to buy a Hornby set that the store in question had marked as being on offer of £20 off. It was only when I checked with online sellers that I found their normal price was higher than the RRP and online stores were selling exactly the same pack for £30 below that. Shop around! As with all model railways, this can be built on and expanded later with lots of options including more track, buildings, scenery, people and of course more trains. 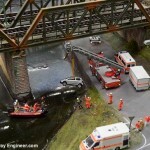 This is also what’s called an OO gauge set. Gauge measures how far apart the tracks are and determine how big the trains are (there’s more to it than this but this definition will suffice for now). 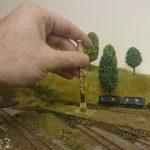 The important bit being that OO is one of the main “sizes” for UK model trains, it’s ideal for teenagers and up, and for which there are lots of the accessories just mentioned. 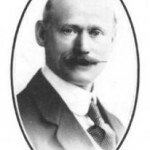 It’s also Hornby — the main OO size model railway manufacturer in the UK — so the trains are well made and should last. If you’re looking to buy this Hornby set as a gift or to treat yourself, I’d also recommend one or more of these must read books for model railway beginners. I’ve picked these the guides, tutorials and introductions to the hobby and all are highly recommended to help you get started. 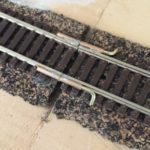 Looking for more help to start a model railway, check out my super series on how to build a model railway and the companion article to this post, the top trains sets rated.